Moving oil and gas safely and efficiently from a wellhead to end-users stands as the sole and unambiguous purpose of pipelines. When either of those key elements — safety or efficiency — is lacking, it represents a problem. When both are missing, it signals a complete breakdown of purpose. Southern Brush exists, in part, to help pipeline and utility companies maintain safe and efficient operations through right-of-way management. In addition to traditional grounds maintenance services, we also provide highly sophisticated GIS mapping and data logging solutions. 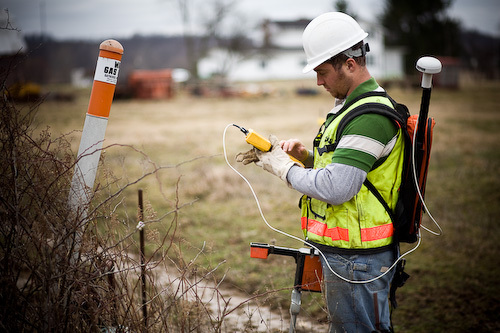 By utilizing state-of-the-art equipment and leveraging our technology with extensive data processing experience, we help companies identify and track underground assets accurately. 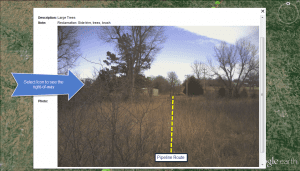 In July of last year, National Public Radio produced a piece detailing the dangers of operating pipelines without adequate mapping. Despite the potential political bias of outlets like NPR (also here), when journalists identify viable dangers in our industry, we hold a responsibility to the public (and to our shareholders) to pay attention. “[E]ven the relatively recent pipelines are not always where they are supposed to be. When people properly follow One Call protocols, line strikes should never happen. Unfortunately, however, the national pipeline infrastructure originated during a time when detailed, accurate mapping just wasn’t possible. But technological innovations now empower us to provide highly detailed data identifying exactly where pipelines lie — with a subcentimeter accuracy variance. At the very least, operators need to know where their pipe’s centerline lies and the depth of cover protecting it. By utilizing Vivax Line Locators and Trimble GPS units, Southern Brush can log all of this data and deliver it in whatever format best fits a client’s GIS needs. As an added value, we can also display above-ground field conditions that may require a client’s attention (e.g., obstructions on the right-of-way, missing or misaligned markers, etc.). To date, Southern Brush has provided well over 10,000 miles of pipeline surveys. We help operators increase their safety, efficiency, and ultimately, profits. Please contact us today to discuss your pipeline data or GIS project needs.